Chelsea has much to offer the visitor. As well as a host of wonderful shops, there is much history to the area and a wealth of interesting places to visit. Nowadays Chelsea is renowned for its fine antique shops, its boutiques, its restaurants and bars. In addition, there is the Royal Hospital Chelsea, designed by Sir Christopher Wren in the 17th century as a hospital for veteran soldiers. Now the site of the Chelsea Flower Show every May. 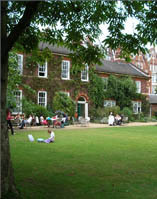 The Chelsea Physic Garden is another quiet area of Chelsea which awaits the visitor. The second oldest physic garden in the country, it is home to many exotic plants from all over the world and has a fascinating history. A lovely place to spend an afternoon and to have lunch or afternoon tea. 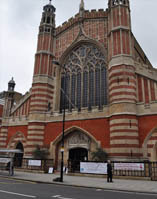 Holy Trinity Church, Sloane Street is a little-known gem which has many associations with the Arts and Crafts Movement and in particular, William Morris. 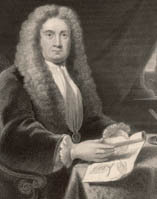 Sir Hans Sloane, the lord of the manor in Chelsea was an extremely influential figure in the late 17th century. It was his collections which formed the basis of the British Museum since he was an avid collector. He travelled extensively to the West Indies and returned with exotic plants which he gave to the Chelsea Physic Garden. Cheyne Walk, one of the most elegant addresses in West London. 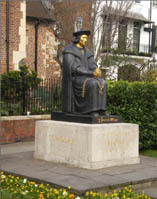 Many famous writers and composers lived in Cheyne Walk including Dante Gabriel Rossetti. 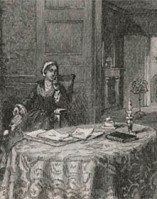 Thomas Carlyle was a literary giant in the 19th century and his house became a literary salon for the great names of literature at that time. He entertained the likes of Charles Dickens, William MakepeaceThackeray and Charles Darwin in his house in Cheyne Row. It is possible to visit this interesting historical residence where little has changed since Victorian times.